Starbucks has largely been inoculated from the fast food protests and campaigns for $15 minimum wages compared to restaurants like McDonalds. Now, even Starbucks can’t hide from employees who want a minimum wage hike. Raising salaries may help in the short-term along with increasing costs for customers, but their long-term strategy may leave workers worse off. 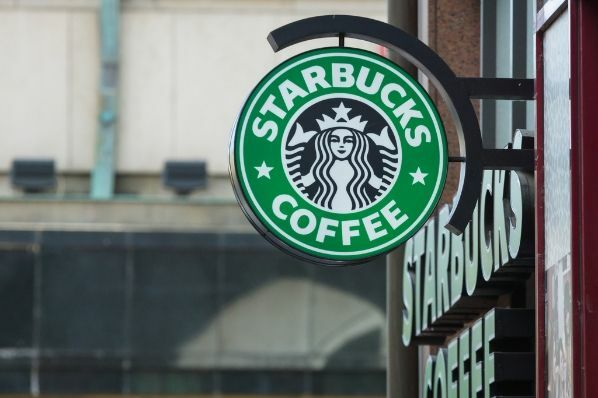 Starbucks has announced that it’s giving workers a raise this October. All employees at company-operated stores will receive at minimum a 5-percent boost in base pay. On top of that, the company will double stock rewards to hourly employees who’ve worked at least two years. In total, these new benefits are expected to plump wages by 5 to 15 percent for the 150,000 workers at the 7,600 company-operated stores. This increases are only guaranteed at company-operated stores, meaning that franchises may choose to follow suit or keep their benefits packages the same. However, we may expect them to get on board following pressure from workers. Striking the delicate balance between profit and a social conscience is a responsibility I take personally. Over the years, we have viewed our total compensation approach as the best way to create long-term opportunity for partners. We believe strongly in this philosophy but also recognize we must do more to help partners take advantage of all the company has to offer. Today I want to stress our ongoing commitment to make investments in our partners and share some new developments that reflect that commitment. Right now, the labor allowed to stores is so dire that it’s killing morale, companywide. Let it be stated that this job isn’t a hard one. It’s demanding, but it’s easy work, if trained properly. Customers want their coffee and they want it in a timely fashion. As labor continues to be cut, it creates an atmosphere where baristas are worn to the bone without being able to take a breath. Cleanliness suffers, speed of service suffers, partners suffer. The tip situation has also drastically changed. Before the implementation of a Starbucks Reward program (MSR), tips were higher. Now, with a growing percentage and majority of customers using the app, and their registered cards, tips are in major decline. When you factor that in with actual take home pay, it’s a scary place to be. It’s possible that given new pay minimums stores are adjusting worker hours. Furthermore, Starbucks is instituting company-wide labor-saving technology that workers should find worrisome. Starbucks faces a conundrum. They want to keep staff happy, but face higher costs of business due to rising minimum wages in cities and states across the country and other labor-cost increases. Meanwhile, sales are reportedly cooling. After a computer glitch prematurely charged some customers more for their drinks, the company announced that price increases would be permanent. That may lead to added losses (especially among the less-loyal customers like me). The CEO is correct that there is a “delicate balance” businesses strike between making profit and social impact. Something or someone has to suffer given limited resources and slowing sales. Those who champion minimum wage increases to arbitrary levels that they consider “livable” neglect to consider profit. Profit is not just piles of money stacked up in vaults that super rich CEOs go swimming in every day. Profits may be shared with stakeholders and staff, but they also get reinvested into the company to help them improve products and services, grow operations, and hire and train staff. When profits narrow, less can be done. Starbucks wanted to alleviate worker concerns, but this is a short-term measure. Workers may get a boost in their paychecks this fall, but the wage pain decried in the petition will not be abated just postponed and some workers may find themselves out f a job or with fewer hours each week.